After the announcement last month that wrestling is to be removed from the summer Olympic program following the year 2020 by the International Olympic Committee, Bulgaria’s national wrestling team coach, Armen Nazaryan, has begun a hunger strike. The IOC reviewed all 26 sports from the Olympic program and decided to keep the pentathlon — which was facing the most risk — over wrestling; which includes both freestyle and Greco-Roman categories. This is sad news for wrestlers across the world. Wrestling was one of the original Olympic sports established for the inaugural modern Olympics, which took place in Athens back in 1896. To say the least, it has been around for a long time. With over 110 years of Olympic attention, perhaps the committee felt the game had lived out its glory. Out with the old and in with the new? As a matter of fact, yes. 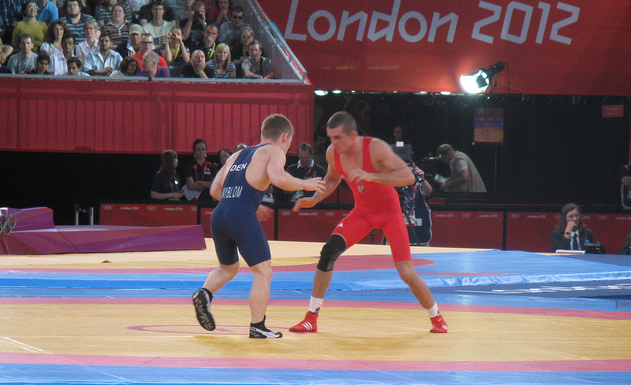 With wrestling now out of the picture, an opening slot for a new sport is available in the program which will be up for discussion and selected later this year by the IOC. “This is a process of renewing and renovating the program for the Olympics,” said IOC spokesperson Mark Adams. The 39-year-old has won Olympic gold in wrestling for his native Armenia in 1996 and Bulgaria in 2000 and is now is head coach for Bulgaria’s Greco-Roman wrestling team. Bulgaria, which has brought home a total of 16 gold medals in wrestling, will be losing the chance to compete for more of what has become a national sport. Unfortunately for us, not only is Bulgaria going to be affected by this removal, but Canada as well. Just last summer in London at the 2012 Olympics Canada brought home silver and bronze medals in the sport from athletes Carol Huynh, who previously won gold in Beijing in 2008, and Tonya Verbeek, a three time winner who has won two silvers and a bronze in her career. Between 1908 and 2012 Canada has won a total of 16 medals in the freestyle category of wrestling, most recently won by women. Not exactly our strongest suit, but still a competitive field in which Canadian athletes have flourished. Nazaryan’s hunger strike for wrestling is a strong statement. It shows his passion and willingness to support the sport he loves and to have it continue as an Olympic one at his own risk. I truly hope his action is seen and heard by the IOC and taken into consideration. After all, wrestling is one of the original sports, why take it out now? Just because something is old doesn’t mean it isn’t worth anything. The issue has made headlines and the IOC seems to be set on their decision, but it isn’t 2020 yet. There is still time. Perhaps Nazaryan’s hunger strike will grab the IOC’s attention, change its plans of removing it from the program and giving society an idea why it is in fact an Olympic-worthy sport.